Moving house is stressful. Now imagine moving a whole office. Office removals are more complicated than house removals as there are more items to move, special equipment and technology that needs to be relocated, and the ever present adage that time is money. This means that time lost on relocating is money lost for the business. Your lease may be expiring soon or your organisation may need to expand into a bigger office to accommodate growth. In any situation, moving office needs to be done quickly and efficiently to minimise its disruptive effect on business. If you are looking to move your business, you will find office removals information here. Office removals: What are the expected expenses? 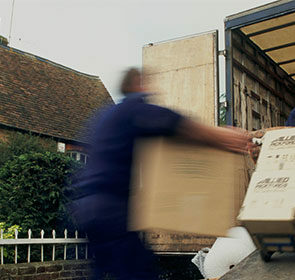 The process and cost of office removals are a lot more complex and variable than moving house. 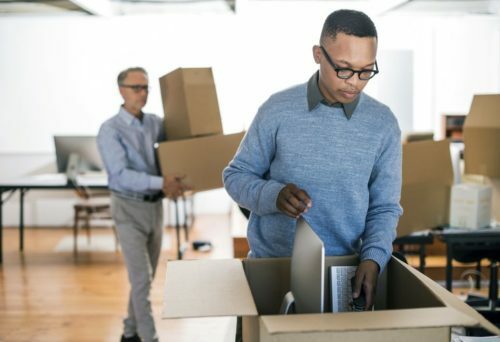 First of all, there are the costs of office removers—these are affected by the volume of office items, special equipment, storage, and the distance of the relocation. Secondly, there are additional expenses that arise when moving office. Due to all the contingent factors, it is extremely difficult to find exact costs. Moving expenses depend on the specifics about your office move. €35 - €200 per Sq. Ft. 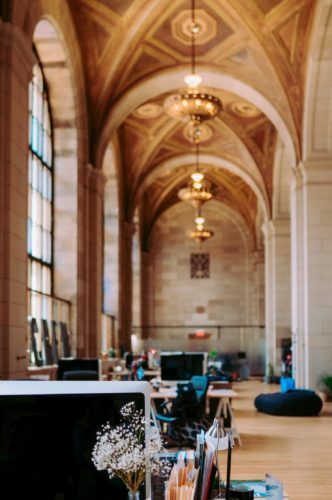 If your organisation is looking to relocate to a new office, you will undoubtedly want it to run as smoothly as possible. Together with the high number of expenses, office removals are complicated and has the potential to be stop business significantly. As such, finding the right removal company should be a priority. Look at multiple movers’ details with our quote request form. With our free, non-binding request, you will save up to 40% on your commercial removal. Planning is crucial for any move and it is the same for office removals as well. 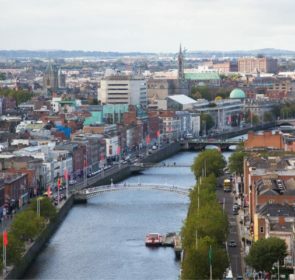 It is a good idea to create a small group designated as the moving committee, with specialised roles and responsibilities related to the move. Take note of the consequences of the move, such as the effects on daily business and employees, your reasons for moving, and the budget. If done properly, you will be able to identify opportunities to lower costs and improve efficiency. Create a timeline—depending on the size of your company, the time to start planning will vary. For larger moves, 6 to 8 months should be the minimum since the earlier the better your move will progress. Also, try to plan your move around a period of low business activity to minimise disruptions. Keep your employees in the loop about the whole moving process. If they are informed about the plans, they will be able to better prepare and manage their time during this period of transition. For each department or team, choose a point of contact. This person will be the intermediary between your employees and the move planners. With regular meetings, you will be able to address any concerns the employees have and make the whole transition smoother. Book your office removals company. When looking around for the appropriate one, obtain and compare at least 3 quotes. This way, you will make the right decision based on price and range of service. 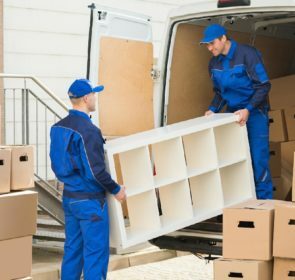 Involving your removal company early on is important to ensure that their planning is completed thoroughly and properly. They will assist with your moving plan so that everything runs smoothly. Your removers will determine how to move your office furniture, arrange the special handling of equipment, and might even offer a range of post-move employee programs to help ease the transition. An office move is not just about leaving your old space, but getting ready for the new one as well. Use a floor plan of your new office to determine the new layout, as well as functional issues such as storage space, outlets, and kitchen space. Plan the different operational areas of the office and measure the dimensions to ensure that your furniture and equipment will fit. Figure out the logistics of moving your existing IT infrastructure seamlessly so that business can resume quickly on the other side of the move date. 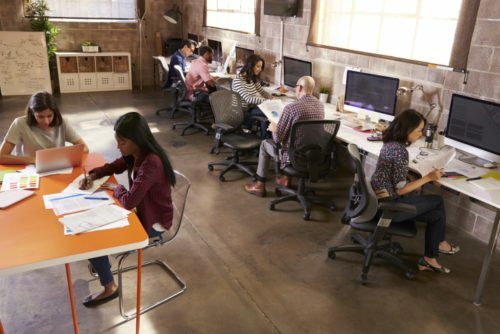 Keep in mind that your new office will most likely not be perfect—a smaller reception area, a different size conference room, or a more open office space might cause planning problems. Take a comprehensive look at what you will need at your new office. This is a good opportunity for updates; do you want a new office feel or possible updates on the company’s technology? The next step is to consult a fit-out company. If you need new office furniture then this is highly recommended. A fit-out company will be able to combine your design aspirations and practical issues to make a functional, inspiring office space. Fostering a positive working environment often comes down to the office layout, interior, and space. That’s why it’s so important to have a fit-out company to create the office that your company needs. As with any move, creating a full inventory of your items is incredibly useful. Take note of the items that will be transported to the new office, as well as any new pieces you’re buying. This will prove handy after moving day, when you can check to see whether there are any missing furniture or equipment. An inventory will also make the packing process much easier, making sure that you do not miss anything. If, after you have moved in, you notice there is something missing, you will be able to enquire with your removal and fit-out companies and have proof of your list of items. Make sure to shut down any accounts at your old office space leading up to the moving day. 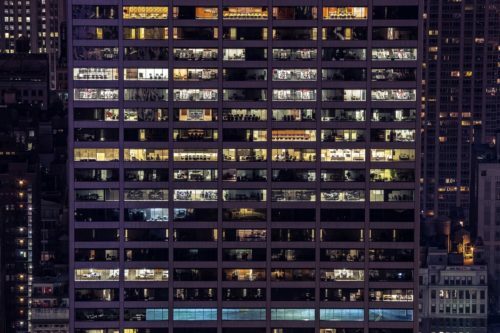 At your new place of business, ensure that the utilities—gas, water, electricity, internet, and servers—are up and running in time for your move in. Carefully review your lease to make sure everything’s in order. Renew or update service agreements, licenses, insurance, and equipment leases. Have dilapidations completed at your old office. This involves remedying issues related to the condition of the property. Leaving your old space in a good state prevents any lease disagreements or deposit issues. Take one last, good look at your now old office to see if you or the removals company has missed anything. Always remain available for any enquiries that the removers may have as well as to supervise the moving operation. Once at the new office, check that the utilities are in good order. This also includes phones, computers, networks, servers, and important electrical equipment. Examine the condition of the new office and take photos to validate it. Have a few representatives from each team or department to supervise the moving process for their designated area. After weeks of planning and preparation, the move is complete! Hopefully, with a thorough plan, your move went by with minimum issues and disruption. Now it’s time to hold a party to celebrate your new office! Although complicated, an office move is possible with minimal interruption. With proper planning and the right office removals company, a smooth office relocation is achievable. Find and consult a trustworthy moving companies to make sure it happens, with our secure form. It is quick, easy, and will provide up to 5 quotes so you can compare and make the right choice.